Special concrete mix greatly improves insulation properties of pre-cast reinforced wall & roof panels. Concrete roof panels with reflective paint improves building thermal insulation. Low energy cooling system 600W peak/300W average per 100m² . Computer centres operating without conventional air-conditioners. Concrete equipment shelters operating without conventional air-conditioners. Commercial buildings operating without conventional air-conditioners. 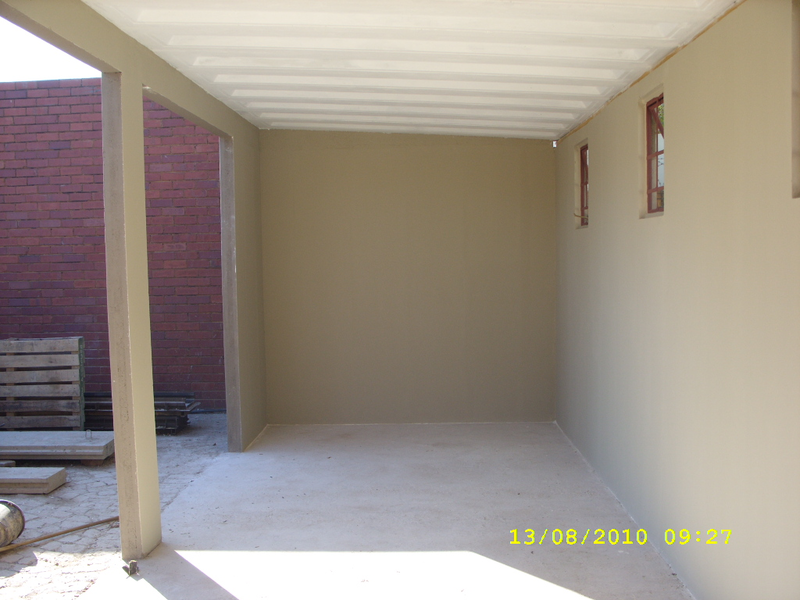 Pre-cast reinforced wall and roof panels manufactured in high volumes at discounted prices. Short Construction time (12 persons complete a 200m² building in 4 weeks). Computer-aided design, Bill of Material and costing. Concrete building design according to civil engineering specification. Wall panel sizes 2.45m high x 500mm/300mm wide, Roof panel size 2.9m long x 500mm wide. 100mm thick concrete panels strength 30Mpa (5 x stronger than bricks).